I was enchanted with this silk crepe fabric with small zari border. The colours reminded me of red grapes. 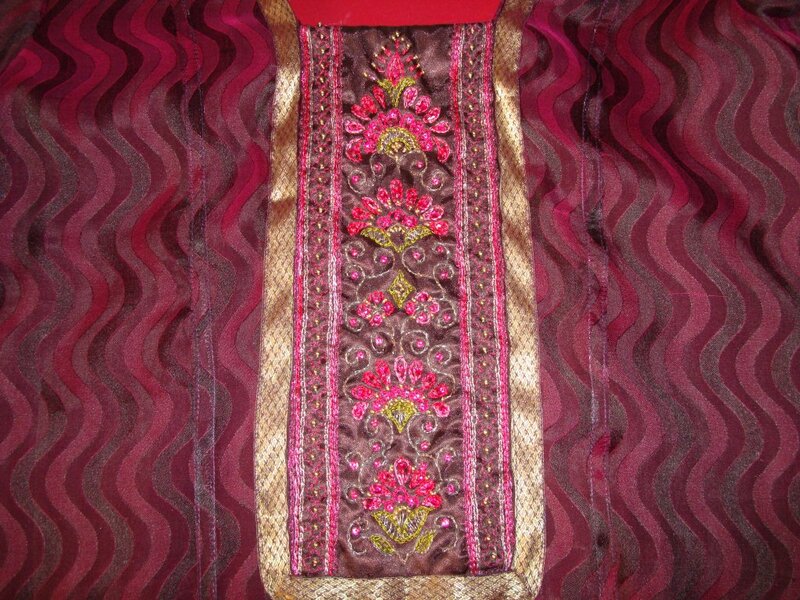 The embroidery stitches were done with zari threads and pink and green silk threads. 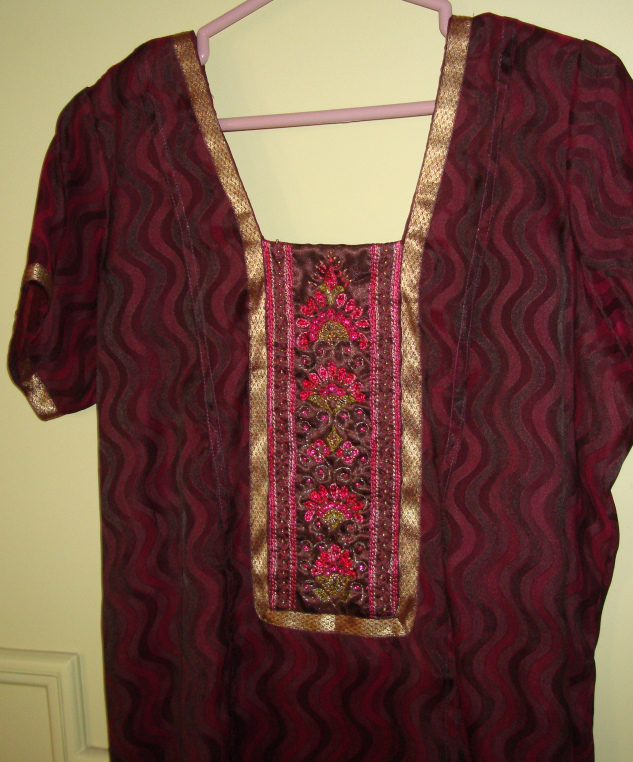 The tunic with yoke and zari borders.